If you’ve heard that phrase once, you’ve heard it a thousand times. Most employees understand that intuitively, but relatively few find clever, impactful ways to demonstrate that the truly believe it. 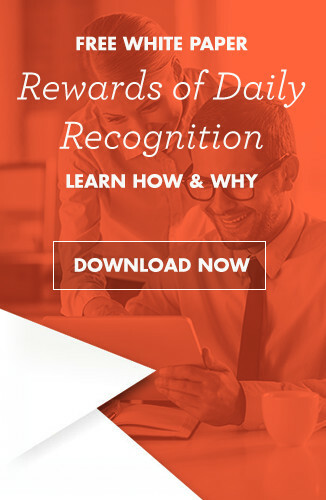 If you want to set yourself apart from the crowd, improve employee morale and show that you truly “get it,” here are a collection of great ways to reward your employees in ways they’ll truly appreciate. While lots of companies have newsletters, most tend to be run by management. As such, they tend to be dry, boring, and not actively read by your employees. Consider changing that! Announce the creation of a monthly newsletter run by and containing articles for your employees. The most important thing you can do here is make the announcement, stress that part of the newsletter should be used to highlight employee achievements, assign someone who’s not a part of your management team to manage it, and provide enough time and resources so that the newsletter team can do a great job at it, then get out of the way to see what your employees will come up with. The results are almost certain to surprise you. In short order, you’ll get a world-class newsletter that’s filled with hard-hitting, informative articles and something that shines the spotlight on a variety of compelling employee achievements you may not have even been aware of. When this happens, it’s important to step in and make special acknowledgements of the achievements brought to your attention in this manner, because it shows that although you’re not running the newsletter, you’re actively reading and paying attention to it, which will only encourage further participation. One of the most common complaints about management-run recognition programs is that there’s a tendency to play favorites. You can get around that by allowing the employees themselves to nominate each month’s winners and select the prizes to be awarded. This not only shows your employees that you value their input and opinions, but it encourages a higher rate of employee participation. That’s win-win. This one isn’t appropriate to every business, but if you can manage it, schedule some downtime that sees you take your employees out for an afternoon of fun. This can be as simple or as elaborate as you’d care to make it. Some companies have a picnic lunch somewhere away from the office. If you’d rather not spend the kind of money involved with buying that much food, and you live in an area known for its natural beauty, you can hold a “bring your own” picnic at an area park, go for a hike, or do something even more adventurous like a company-sponsored whitewater rafting trip. The sky really is the limit here! Again, this isn’t something that works well for every type of business, but when and where possible, you should try letting your employees make certain small-but-impactful decisions about what the company does and how it does it. For example, if you’ve got a cafeteria in your place of business, what about letting a group of non-managers select the company that works from it? Or let them have a major hand in designing the menu? Decisions like these can really make your employees feel as though that have a meaningful voice in your company, which will make morale soar. 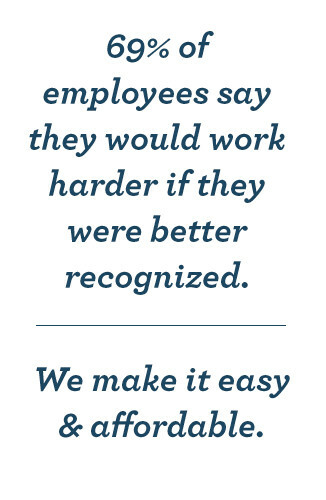 The bottom line is that there are all sorts of ways you can recognize your employees and acknowledge their value. With a little applied creativity, you can come up with a whole raft of innovative ideas.